If your budget is straining to keep pace with your lifestyle, take advantage of one of these regular happy hours and half-price specials. 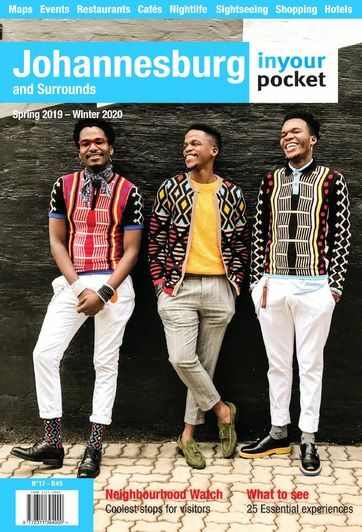 Bringing together one of the best cocktail and whisky bars in Sandton with the coolest beats spun by DJ Tha Muzik (of the cult Obrigado party fame), Sound Serve at The Course is Sandton's weekend wind-down party, happening every Friday and Saturday from 16:00–20:00. Happy Hour: Two-for-one on cocktails, beer and wine by the glass from 16:00–18:00 on Fri and Sat. 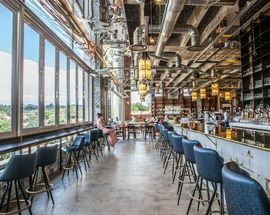 Redesigned in winter 2018 to the tune of some R12 million by award-winning interior designer Tristan Du Plessis, the new look Bull Run now matches up mightily to the many glitzy restaurants which have opened up nearby in recent years. 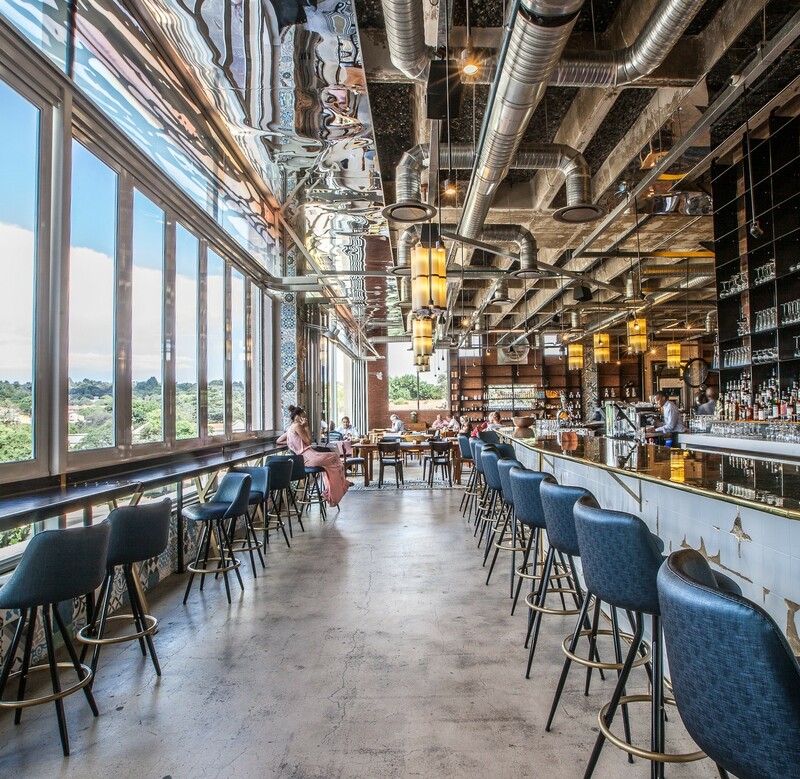 Alongside the revamp of the restaurant came the installation of a new bar, the Dollar Bar, with its unmistakable mural of Benjamin Franklin a cheeky nod to the Johannesburg Stock Exchange across the road. Happy Hour: Pull into the Dollar Bar daily between 16:00 and 18:00 for buy one get one free on the house lager. This chic contemporary restaurant and bar inside one of our favourite bookshops, Exclusive Books Hyde Park, has an expertly constructed drinks menu that includes excellent local wines available by the glass and a range of interesting cocktails that are each inspired by classic works of fiction. Happy Hour: Every Monday, Tuesday and Wednesday from 17:00–19:00 all wines, beers and bubbles are buy one get one half-price. 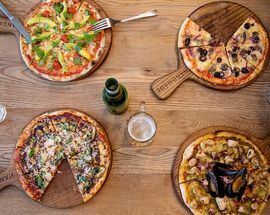 Enjoy tasty and unfussy Portuguese cuisine with a Mozambican influence at this authentic little neighbourhood hotel in Troyeville. 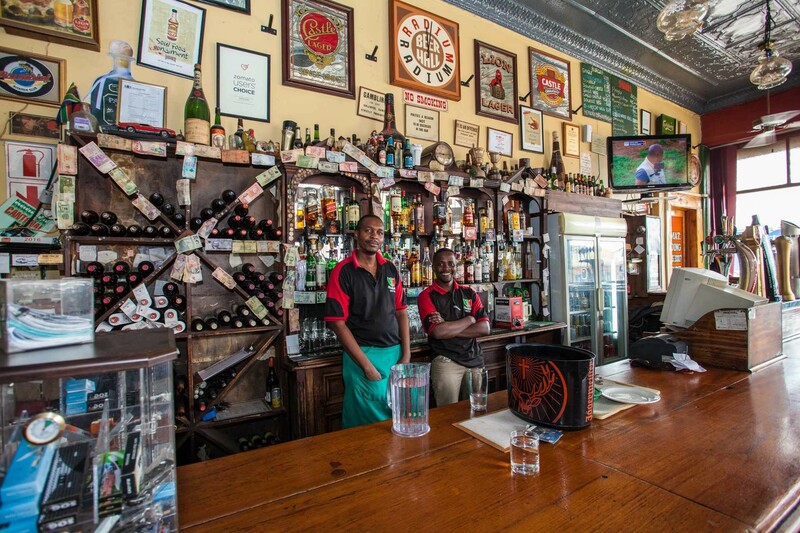 The bar attracts a regular crowd, especially when there's a rugby game on, and also has a lot of cred with left-leaning activists, artists and musicians. Happy Hour: Daily (except Saturdays) discount on food and drinks from 16:00–18:00. One of the oldest bars on Melville's famous 7th Street and still going strong after all these years, this cocktail bar, popular with students, has plenty of atmosphere and runs like clockwork. A veritable Melville institution. Happy Hour: Daily from 12:00–19:00 all cocktails are buy one get one free. 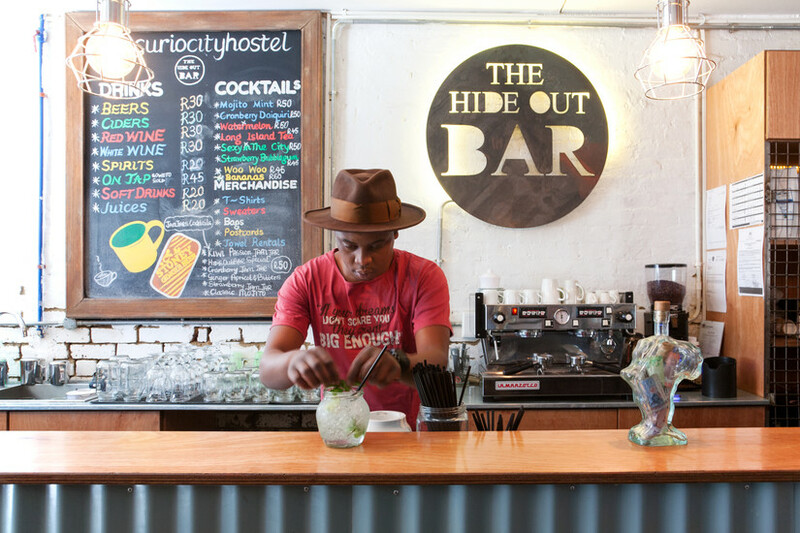 The budget backpacker's bar of choice and part of Maboneng's Curiocity Hostel, this is a great place to meet fellow travellers and like-minded individuals while hashing out plans to traverse the continent in search of adventure. 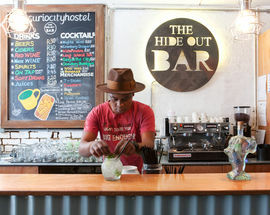 Happy Hour: Daily from 17:00–19:00, beers from R25 and cocktails for R40. Although the area surrounding this characterful Victorian pub in Orange Grove may be edgy (not in a good way), it's well worth the effort. 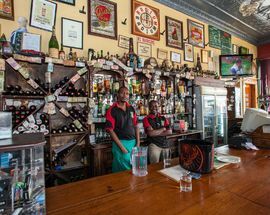 Opened in 1929 as a tea room and secret shebeen, the Radium's timeworn interiors, eclectic decor and faithful regulars propping up the bar are all part of the charm. 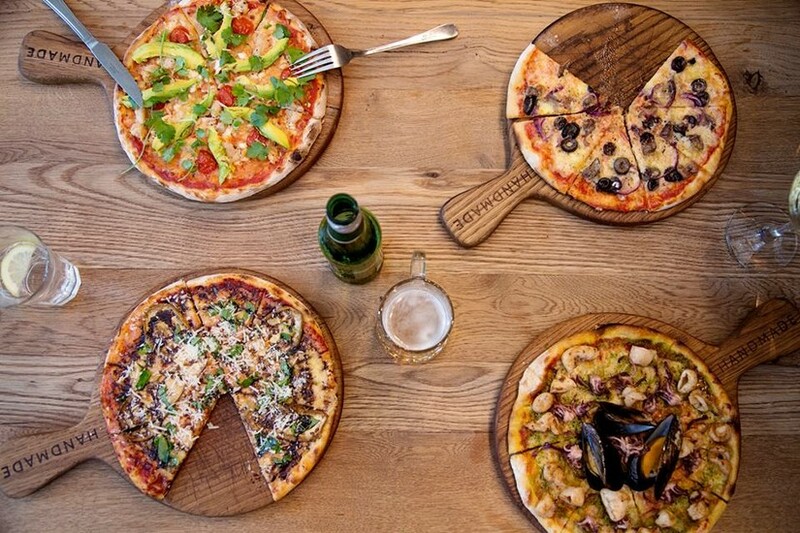 Happy Hour: Half-price pizzas every Tuesday. A nondescript little sushi bar, Chinese restaurant and takeaway joint in Emmarentia, that has a loyal local following who come for the bargain prices and quick and easy Chinese food. Happy Hour: Half-price sushi on Mondays (sit-in only).